Quest Nutrition was created to help you pursue greatness. 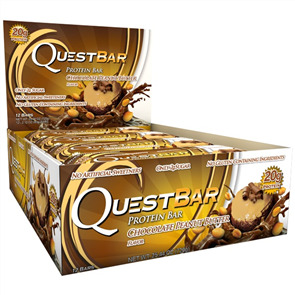 The Quest Nutrition Bars have one of the best nutritional profiles of any protein bar on the market. This is the reason why people can't stop talking about Quest. Sprint Fit stocks most of the Quest Bar flavours such as Chocolate Peanut Butter, Vanilla Almond Crunch, Cinnamon Roll and the most popular Chocolate Chip Cookie Dough.